The Glaze cake plate by Normann Copenhagen designed by Simon Legald just created a series of products to present cakes, cookies and pies. The designer wanted to create an alternative to traditional, richly decorated cake stands reminiscent of a visit to grandmas. This led to the decision to design a modern series to serve cakes and other baked goods. 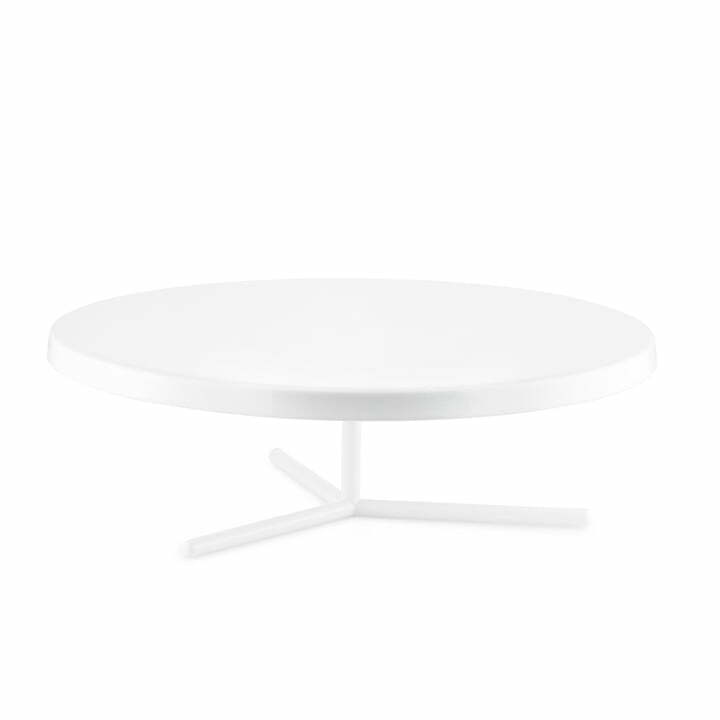 Made from powder-coated aluminium, the cake plate is ideal to present biscuits on the table in the dining room or in the kitchen, as well as on the dressed table in the garden. The foot elevates the plate off from the table in a beautiful way and skilfully but discreetly makes the cake stand out. 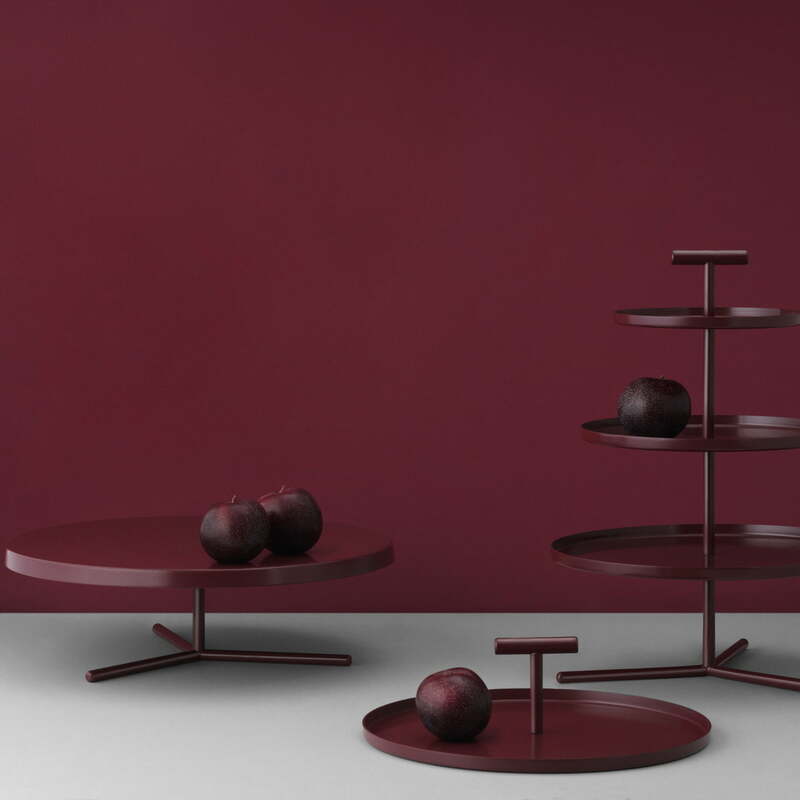 In addition to the cake plate, a tray with handle and a tiered cake stand also belong to the Glaze series by Normann Copenhagen. The Glaze cake plate by Normann Copenhagen designed by Simon Legald. Made from powder-coated aluminum with a stand, the cake plate is ideal for the presentation of cakes, pies and pastries. Group product image: The glaze series created by Simon Legald for Normann Copenhagen consists of a cake plate, a tiered-stand and a tray made of powder-coated steel.